Why Choose Sears for Your Hardwood Floor Cleaning? Multi-step hardwood floor cleaning process. Hardwood flooring adds elegance and charm to your home. 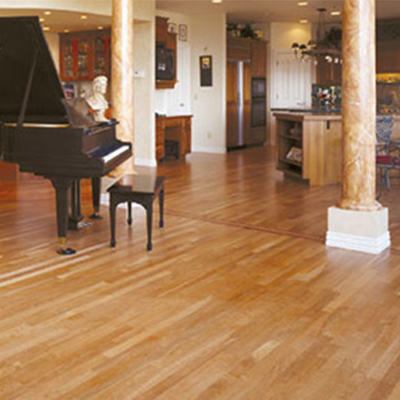 Over time though, hardwood floors accumulate scuffs and spots, becoming dirty. If you’ve been asking yourself “do I need professional hardwood floor cleaning?” the answer is yes. Sears technicians use special equipment and cleaners specifically designed for wood. We utilize a six-step cleaning process that incorporates cleaning equipment not found in retail stores. While sweeping and mopping can keep a hardwood floor looking clean on the surface, home cleaning methods cannot match the level of clean that professional hardwood floor cleaning services provide. Instead of merely moving dirt and dust around with a mop or broom, eliminate debris entirely with a residential hardwood floor cleaning that will leave your floors looking vibrant and restored. A technician will thoroughly inspect your floors and scan for problem areas that will require more attention. The technicians will then vacuum the floor to remove loose dust and lint particles. Sears associates will use powerful cleaning equipment to loosen dirt and mopping residue from within your floor. Our cleaning solution purges the floor of any remaining debris before the dislodged dirt and the solution itself are vacuumed away. 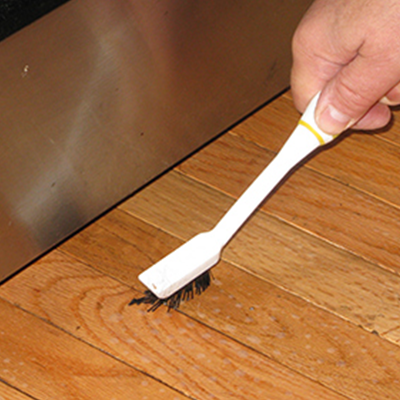 4) Your hardwood floors are then hand cleaned by the technician using a microfiber cloth to reach edges and corners. 5) Your cleaning is prolonged by our neutralizing solution as we clean the floor a second time and give it a shiny finish. Following your cleaning, we recommend that customers invest in an application of Hardwood Finish Refresher Top Coat. 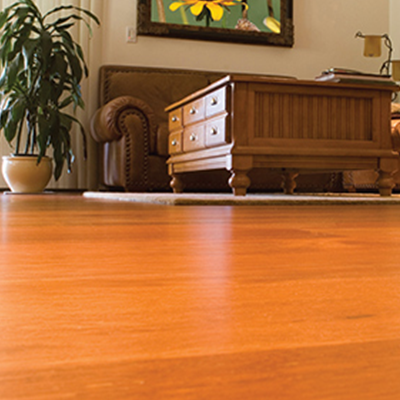 A top coat refinisher adds an extra layer of protection to your hardwood. Not only will the refinisher protect your hardwood, but it will delay the need for another professional hardwood floor cleaning while adding shine and luster to your flooring. *Results may vary depending on previous floor maintenance and the current condition of the floor. Cleaning/coating the floor will not remove or reduce the appearance of previous scratches, wear, or other damage. Sears technicians are not responsible for pre-existing scratches, loose boards, or other damage. If you are not completely satisfied with your residential hardwood floor cleaning service, contact us within 30 days from the date of service and we will make our best attempt to resolve your issues. Sears must be permitted to inspect and remedy your concerns. This guarantee is null and void if subsequent cleaning/coating has occurred.